As a rule I avoid things with butterflies on like the plague (a winged one perhaps) namely because some plus size clothing brands are quite obsessed with putting butterfly motifs on almost everything. Its always been the way and I'm not sure why. Many's the time I have scooped something fantastic looking off a rail like a cute frock or great sweater only to see the dreaded flappy wing motif. As if fat girls are so repulsive we need something bright and fluttery on our threads to avert peoples stares from our shiny pie faces. However some butterfly prints are just too gawd damn gorgeous to ignore and this is one of them. I reviewed another Lady V dress recently (see post here) and fell quite hard for both the shape and the quality. These frocks are da bomb. So when I saw this beauty in the Lady VLondon sale for a mere fifteen quid it had to mine and isn't it just darling! In terms of sizing this is a size 20 and despite the fact I have quite a small rib cage this just fits so if you are quite broad around your ribs I would suggest sizing up in this style as its a cotton fabric and zipped so has no give. 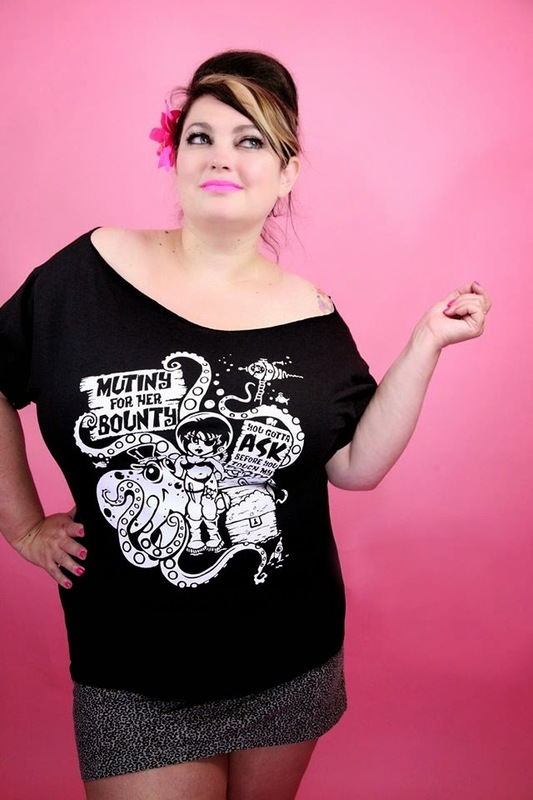 Sorry if I haven't been very prolific with my blog over the last few weeks, life has been really busy (in an amazing way) since Plus North and with Nicky Rockets exhibiting the Curverella tees at London Edge it just hasn't slowed down. I have some fantastic outfit reviews in the pipeline though so stay tuned. Oh and if that's not enough awesome stuff-here is my latest Beauty faves vlog!